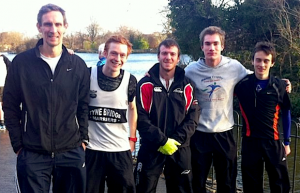 Tyne Bridge Harriers had 8 club athletes out on New Years Day to take on the Resolution Run. 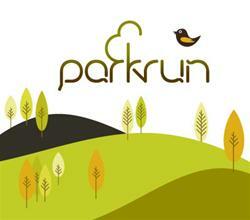 Its a two lap course mainly on grass which takes in both the hills on Newcastles Town Moor. The annual race is organised by Paramjeet Bhogal of Heaton Harriers and this year was sponsored by sports & fitness suppliers Up & Running in Gosforth. 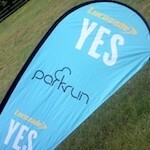 We had 8 club athletes taking part in the 3rd of our Newcastle parkrun Winter GP races on Saturday. Points are calculated using the Age Grade %. The athlete with the most points at the end of the series of 6 races is deemed the Winner. Current GP table will be published on here soon. 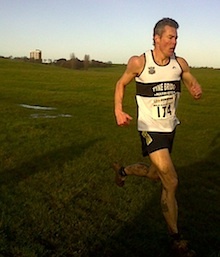 Tyne Bridge Harriers had 8 athletes representing the club at Newcastle Town Moor on Saturday. Great conditions on the course as 274 runners lined up at the start. Congratulations to Caroline Clapp who recorded a brand new PB of 21:44 knocking 2 mins 44 seconds of her previous time. 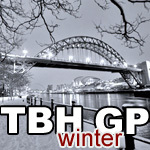 Saturday 5th November marked the 2nd race in the Tyne Bridge Harriers Winter GP Race 2011. We had 7 athletes taking part in this event. 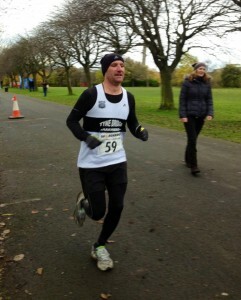 Mr Moir sends in this report ‘fresh’ from the field of the Newcastle Town Moor Marathon. The idea of a 5 lap marathon puts many people off this marathon, but not 4 hardy TBH-ers. People often consider it to be an easy but boring course, but I’ve always found it to be a bit trickier than just that. Tomorrow (18th October) sees the first race in the Tyne Bridge Harriers Winter Grand Prix series. An exact 5K looped course of Newcastle Quayside, taking in crossings of both the Swing Bridge and the Millennium Bridge. Well done to the 10 Tyne Bridge Harriers athletes who turned up at Newcastle parkrun on Saturday morning to represent the club & take part in the free 5K timed race. 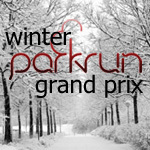 This particular event also marked the very first of 6 races in the TBH Winter parkrun GP Series. Another fantastic turnout from Tyne Bridge Harriers at the weekend where 14 Black n White vests lined up for the FREE weekly 5k race on Newcastle Town Moor.